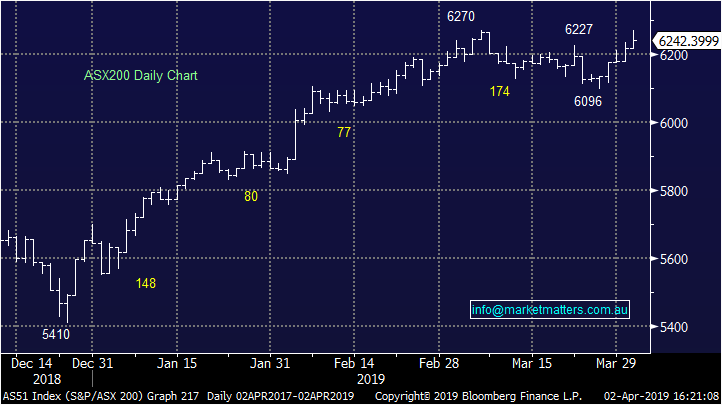 A lot of domestic data out today with Building Approvals better than expected, the RBA kept rates on hold at 1.5% and of course we get the Federal Budget out tonight. 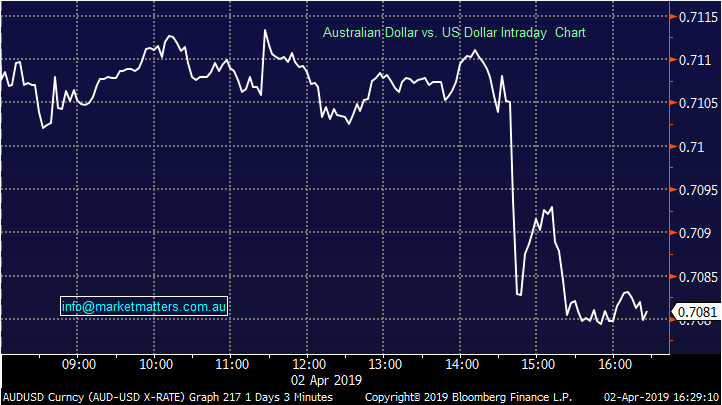 RBA kept rates on hold at 1.50% as expected, the AUD copped some selling as a result and settled the day back below the 71c handle. 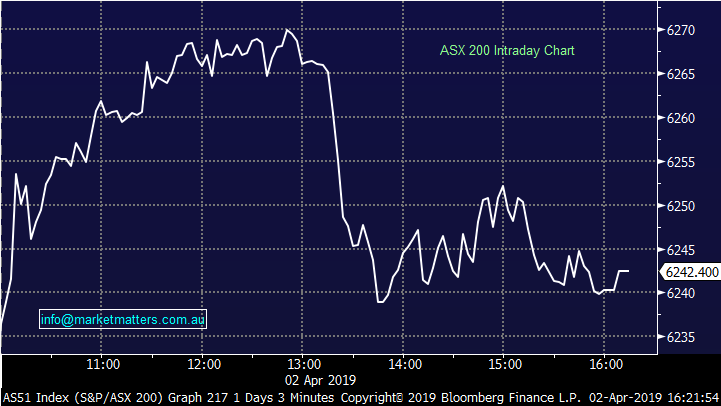 BHP -0.05% down smalls today after hitting an early high of $39.40. 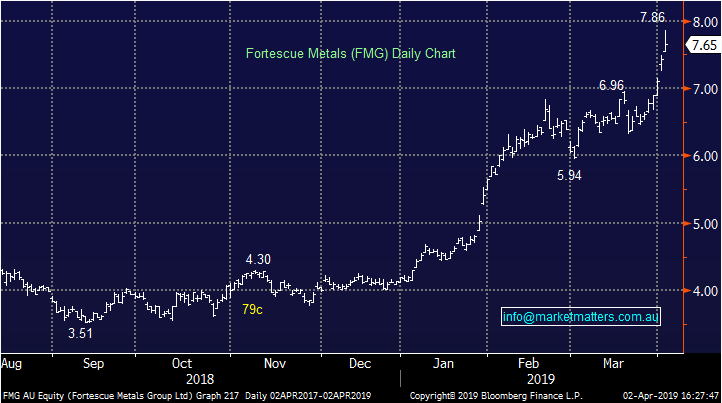 the Big Australian saying the recent Cyclone will impact Iron Ore production by 6-8mtpa which obviously adds to the supply issues from rivals RIO which said supply would be -14mpta plus of course Vale has the longer term issues impacting supply by around 40mpta for the next 2-3 years. 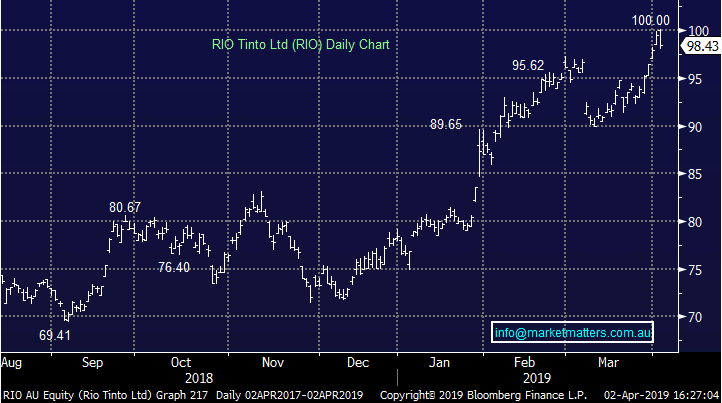 All in all, this makes for a tight Iron Ore market and today we saw RIO hit the $100 handle – the first time since the GFC. 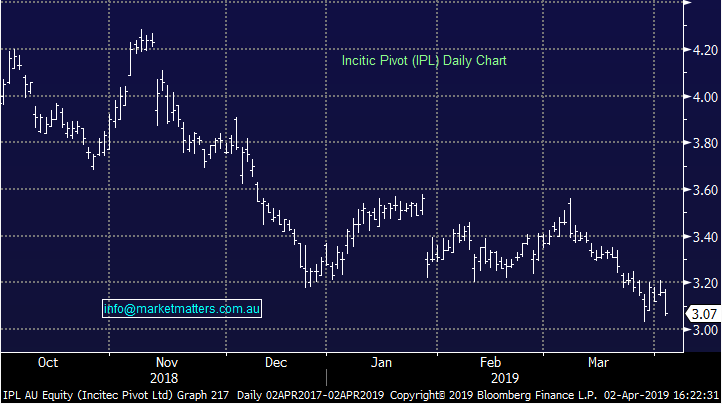 The fertiliser supplier Incitec Pivot (IPL), -2.85%, slumped today after confirming another hit to earnings as well as plans to combine two Victorian facilities for a cost of $13m. They have been under pressure the past few months with both ends of the weather spectrum impacting earnings. The Queensland floods in February is set to cause a $100-$120m hit to earnings with rail lines curbing product distribution, while the company today flagged another $20m hit coming from dry weather dragging demand. Sales will come in around 200,000 tonnes lighter than the year before when the company announces full year results in late May. We like agriculture stocks into weather related weakness, and like Incitec’s proactive response in cutting costs with the factory merger which will help earnings in the medium term.